Paradise City is the first fully integrated entertainment and gaming resort complex totaling 83 acres in Incheon, South Korea. 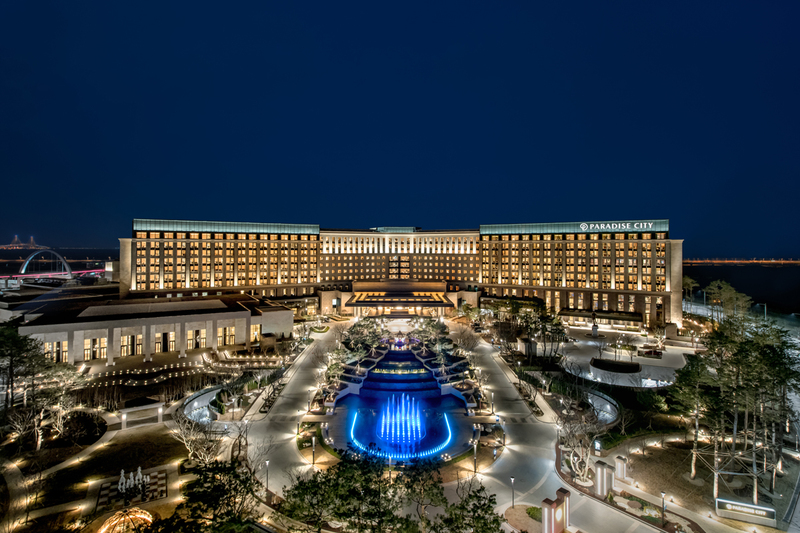 Offering an unparalleled guest experience, this mega-resort combines a diverse range of hospitality, gaming, art gallery, retail amenities, and luxury spa that allow guests to experience leisure, beauty, and entertainment like no other in Northeast Asia. The property encompasses 12 facilities, including a five-star hotel totaling 711 rooms, a family wing and pool villas, a premium casino equipped with state-of-the-art systems, and a K-style-themed convention center decked with a full-service entertainment bar. Lifescapes International designed a large Las Vegas-style main entry, wedding gardens, private villas, and gardens that flow throughout the interior and exterior of the project, while infusing vibrant landscaping throughout the main resort-style pool, complete with an outdoor bar and private cabanas for an exciting night-life setting. Italian villa elements and Mediterranean motifs, in addition to “hallyu” or Korean-pop culture, inspired the landscape design for this resort, which includes interior gardens and outdoor accent plantings with a spectrum of color and texture. The convergence of different cultures, including East and West, was balanced against a backdrop of indigenous trees and plants native to South Korea, including Hornbeam Bonsai, Weeping Willow, Cherry Blossoms, Konara Oak Trees, Sawleaf Zelkova, and Loropetalum, among others. 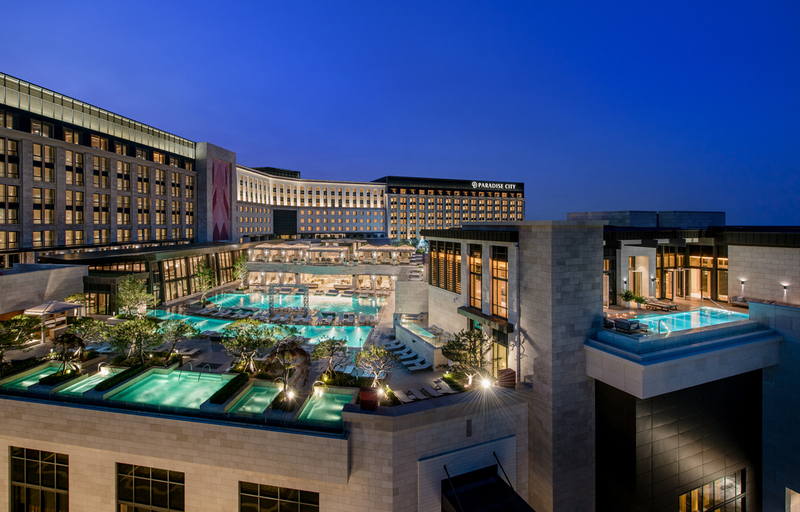 Lifescapes’ vision was to bring the vibrant energy of Las Vegas to Korea by integrating water features and immersive gardens, thereby heightening the dramatic element of the setting and cultivating an exceptional entertainment-driven experience.